BETH ADAMS's illustrations have appeared in commercials, on book covers, and in magazines. She lives in Lakeville, Connecticut. "This fictional cure will resonate with its intended audience." "This book is written for children ages 7-11, but the life skills are applicable to all. Help your child learn about bullying and how to protect themselves from it by sharing this book with them." "…the language and casual writing style are age appropriate…The advice is sound and there are specific examples that will be helpful….Further reading for children and adults, as well as the websites listed at the end of the book, are useful resources." 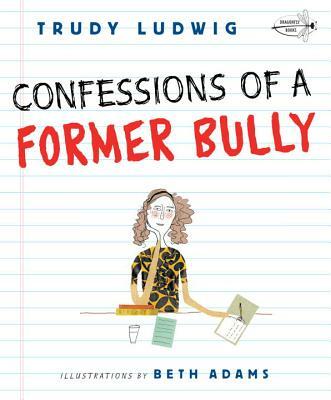 "Confessions of a Former Bully teaches us how to disarm the bully by taking the power and the fun out of bullying. Best of all the reformed bully is not vilified but respected for her courage to change....a sought after resource in both the home and the school"
"Confessions of a Former Bully is unmatched in providing effective tools for girls and boys in every social role, whether they are instigators, targets, or bystanders." —Melissa Norman, founder & executive director of GirlCHARGE, Inc.